As I was traveling across the country today and thinking about our #HipHopEd chat in celebration of National Poetry Month my mind was on Nas. I have been thinking about Nas a lot and myself as we commemorate the 20th anniversary of “Illmatic.” I look at the progression of Nas as a man from “Illmatic” to “Life is Good” in some ways similar to my development as a young man being shaped by Hip-Hop to becoming an older man who is also committed to also shaping Hip-Hop. I thought about the above lines from “NY State of Mind” as a quick example of Hip-Hop’s poetic value and like great poetry is open to interpretation beyond the identification of the figurative language present in the lyrics. Nas is a continuum in the legacy of impactful Black Poets that have used words to paint the artistry that is our existence in the inner cities and beyond. Think about the first line where Nas uses metaphor to substantiate his rhymes as vitamins without the capsule. The capsule on vitamins masks the often nasty taste and makes the administering of the vitamin easier. Nas is stating that his rhymes are just as beneficial as vitamins but not as easy to take and digest. The year is 1994 and Michael Jackson is cemented as the King of Pop with worldwide appeal. It is typical for new Hip-Hop artists to take shots and or draw comparisons to whoever is looked upon as the being at the top of the rap game. Nas takes to a whole different level by equating his ability to lyrically dance on beat breaks to that of Michael Jackson. 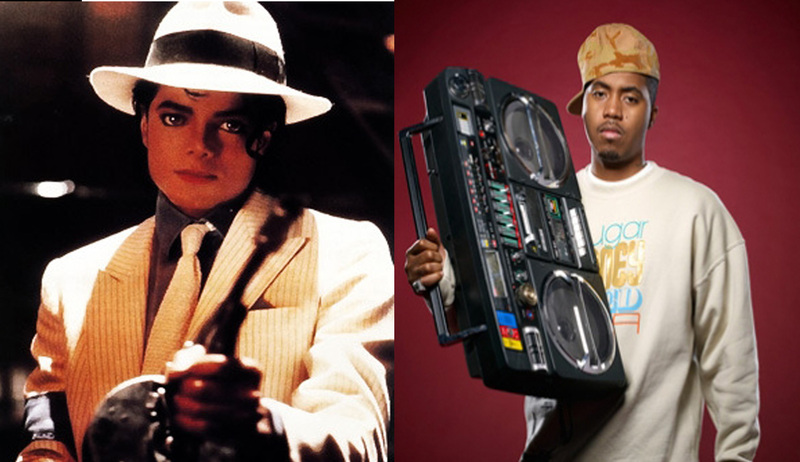 Nas was crafty in selecting “Smooth Criminal” as the comparison because in this song, Michael Jackson is dressed like a Gangsta and is even holding a gun. Nas showed the ability to equate himself to Michael Jackson in a line the screams out street credibility. The next two lines are great examples of personification where Nas mentions a radio eating and the city of New York never sleeping. For those who are old enough to remember cassettes where the tape could get caught within the radio and get tangled and destroyed. New York City has historically been called the city that never sleeps because there is always something to do in the city. Nas took this metaphor that was initially attached to a statement of the pace and life style of the better parts of the city and explained what happens in the hoods within the city because the hoods don’t sleep either. You can also take the smooth criminal reference Nas made as a qualifier of a level of association and distinction from the villains and freaks that he interacted with while growing up in Queens, NY. This is just a quick example of what you can have students do with a knowledge of figurative language and their inherent knowledge of their coded language and culture coming together to critically examine lyrics. As your students master this process with lyrics that they select and are familiar with you can transition and challenge them with poetry and creative works within any school’s curriculum and watch your student’s critical thinking skills come alive. This entry was posted in culture, Hip Hop by Timothy D. Jones. Bookmark the permalink.